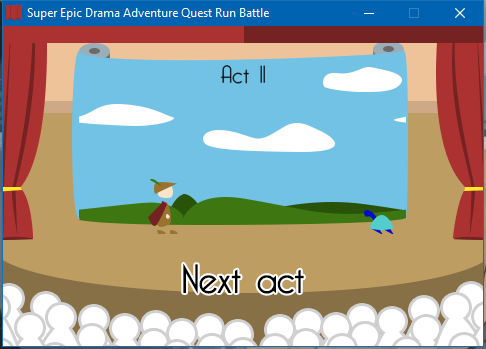 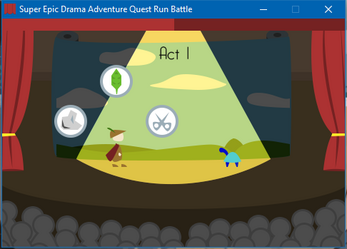 Super Epic Drama Adventure Quest Run Battle is a little game, where the most important play of your life is both a runner and a RPG ! Try to survive until the end of the play and to impress your audience ! 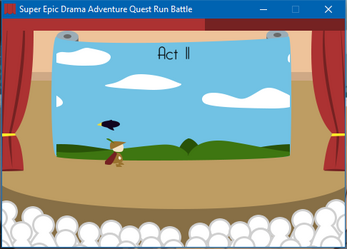 Made in 48h with GameMaker for Ludum Dare 38 !